Developer Halfbrick is sitting on a gold mine, as their mobile game Fruit Ninja achieved more than 1 billion downloads on all platforms. Following in the footsteps of other giants in the mobile industry, such as Rovio, Halfbrick plans to turn its Fruit Ninja smash hit into a movie. It all started back in May when rumors about developer Halfbrick trying to find Hollywood players interested in bringing its Fruit Ninja mobile game to bigger screens emerged online. 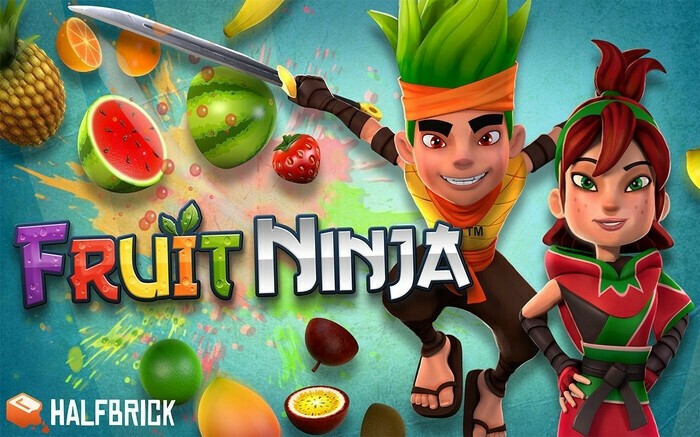 Well, it appears that Halfbrick's search was fruitful, as New Line Cinema has decided to acquire the rights to turn Fruit Ninja mobile game into a movie. It will be produced by Tripp Vinson, the same person who produced New Line Cinema's movies Journey to the Center of the Earth and San Andreas. Another interesting piece of information that surfaced recently is the fact that the script is being written by J.P. Lavin and Chad Damiani, the same names behind another hilarious project, How to Survive a Garden Gnome Attack. Unfortunately, that's all we have for now, so it remains to determine who's going to direct the movie, the cast, as well as the release date. Also, the name of the movie hasn't been decided yet, so it might not come as Fruit Ninja – The Movie. If you haven't tried out the game yet, Fruit Ninja is available for free on both the Android and iOS platform. Moreover, a VR version of the game was released for HTC Vive, and another one for Xbox 360. Fruit Ninja movie... ? Hilarious, but it's too early to judge it. Is there somebody who still plays Fruit Ninja? I thought its prime time was 2010-2011? I hope they don't sell out. Rated R or nothing. Talk about desperation and wanting to waste money. All the decent famous people are dropping like flies while other scum of the earth live long enough to produce this tripe. How... is... possible?? a movie of Fruit Ninja?? smh. and whats next? "Flappy Bird the Movie"? Nothing good because at least birds add comedy relief, this is just a forgettable adaptation of a forgettable game.